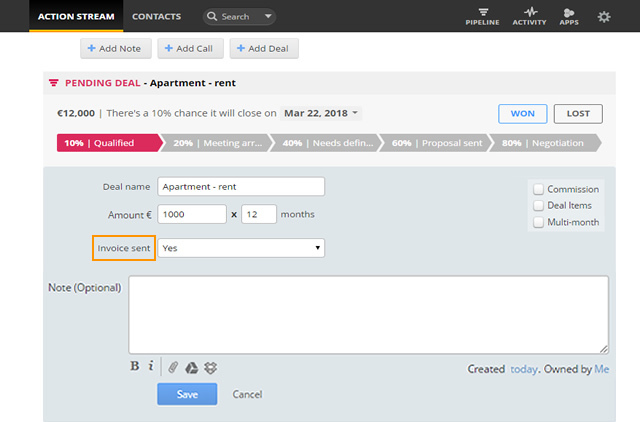 Click Add Deal and fill in the deal fields. Custom fields are shown directly below the Amount field. Click Save to create the deal. Click the Edit icon beside the Deal you wish to view.